Rogue's Fall Season Kicks Off Saturday September 8th! We're Back! 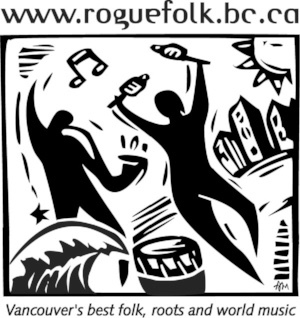 Presenting some of the world's best Folk & Roots Music again! 1. Fall Season Kicks Off This Saturday at St. James Hall (3214 West 10th Avenue)! 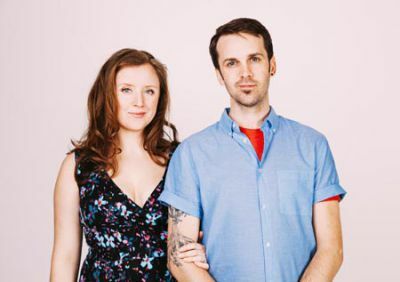 The Rogue kicks off its Fall Season on September 8th with Vancouver folk / pop duo Winsome Kind launching their new CD - We Call It Home. Listening to Winsome Kind is like an invigorating conversation and a warm hug from a good friend. Infusing personal stories with luxurious harmonies, their voices sound as if they have always belonged together. With support from Creative BC, and in collaboration with producer Tom Dobrzanski of Monarch Studios, they've created a compelling and fresh new album of feel good songs. You may find Scott or Leora Perrie at any time on a theatre stage (Scott was in the recent show, Once, at The Arts Club Theatre), in a movie or tv show, or voicing a cartoon, but you can be sure to see them this Saturday as their most authentic selves, singing and playing their original music, and showcasing "their flawless vocal duets, gleeful attitude, and catchy sing-along chorus lines." - Elysse Cloma, Grayowl Point. 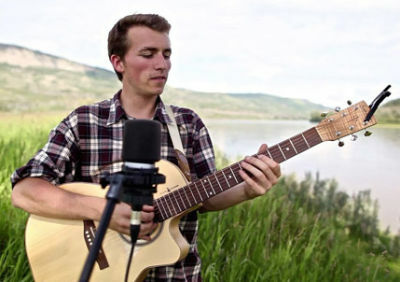 Opening for Winsome Kind is Vancouver singer / songwriter Luke Wallace. Luke is part of 'Come To Life Music', an artist-led music collective that utilizes musicians' voices to inspire change for humanity and the planet. His music is a platform to amplify the voices of communities threatened by unjust resource extraction, and to contribute to the growing revolution spreading across the earth. 2. Our Amazing Fall Season Continues! October is always a busy month at The Rogue, and we have some of the world's finest genre-leading performers coming up!! The roadworks along West 10th Avenue are now complete! The street is open again! Yay!! Cushions have been added to all the pews in the hall. What a difference they make! Windows along the east side of the hall will soon be openable. Washrooms are going to be improved downstairs very soon. The upstairs washroom is also set for renovation and will be considerably larger. Radio Rogue is back up again. We had a new, improved server installed at the office the other week, and forgot to change the URL for the feed! Oops! It's working now, with loads of music from past and upcoming performers at The Rogue, as well as many of my favourite songs from lo these 30-odd years! And more!